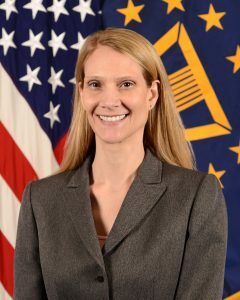 Alumna Julie Blanks has assumed the duties as Principal Director for Military Community and Family Policy in the Office of the Secretary of Defense. She was named in August. A member of the Senior Executive Service, she assists the Deputy Assistant Secretary of Defense for Military Community and Family Policy with a broad portfolio that includes policy, advocacy, and oversight of all community support to service members and families including quality of life issues; family and casualty assistance; morale, welfare and recreation programs; Military OneSource program; and policy oversight of the Defense Department’s commissary and exchange services. Prior to her assignment. Blanks served as Acting Deputy Assistant Secretary of Defense for Civilian Personnel Policy. Blanks is a graduate of the Department of Defense Senior Leader Development Program and the U.S. Naval War College, where she earned a master’s degree in military strategy. 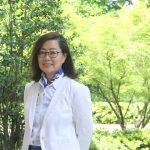 She holds two additional master’s degrees, one in social work from the University of Alabama and the other in human resources management from Troy University. She earned a bachelor’s degree in communication at Auburn University. Read more in the U.S. Department of Defense news release.